Table tennis is one of the most popular indoor sports in the world. It is played with particular fervor in South-East Asia, with several leading table-tennis players from the region, or with South-Eastern origin. Even though our common notion about indoor sports or games is that athletes who are not very athletic, or physically fit enough, opt for these, instead of outdoor sports. However, Table tennis is one indoor sport that completely changes the notion, because it requires the players to be agile, fit and extremely athletic. It requires a great deal of skill. Like all sport, women are no less than men when it comes to table tennis. Let us take a look at Top 10 Female Table Tennis Player. Chinese professional female table tennis player Ding Ning was born on 20 June 1990 in Daqing, Heilongjiang, China, and is currently the number 1 ranked female player in the world according to the International Table Tennis Federation rankings as of January, 2015. She achieved the women’s singles event at the World Table Tennis Championships in 2011. She is known as a left-handed shakehand grip player. Ding Ning won the World Junior Championships in 2005 and won the World Championships as a professional in 2011. She also achieved the World Cup title in singles event twice in 2011 Singapore and 2014 Linz. Ding Ning became the Pro Tour winner four times till now in Kuwait Open 2009 and English, UAE and Austrian Open in 2011. She also achieved the World Cup title in team event thrice till now. Chinese professional female table tennis player Liu Shiwen was born on 12 April 1991, and is currently the number 2 ranked female player in the world according to the International Table Tennis Federation rankings as of January, 2015. She held the number 1 rank in ITTF from January to September, 2010 for nine consecutive months. She uses Butterfly Liu Shiwen as her blade, black colored Tibhar Grip-S for her forehand and red colored Butterfly Tenergy 05 for her backhand. She achieved the World Cup title three times till now in 2009, 2012 and 2013. Shiwen also achieved the Pro Tour eight times and Pro Tour Grand Final three times. She won the Asian Cup in 2010, 2012 and 2013. Liu Shiwen achieved the title of the World Championships in team event twice in 2012 and 2014. Chinese professional female table tennis player Li Xiaoxia was born on 16 January 1988, and is currently the number 3 ranked female player in the world according to the International Table Tennis Federation rankings as of January, 2015. 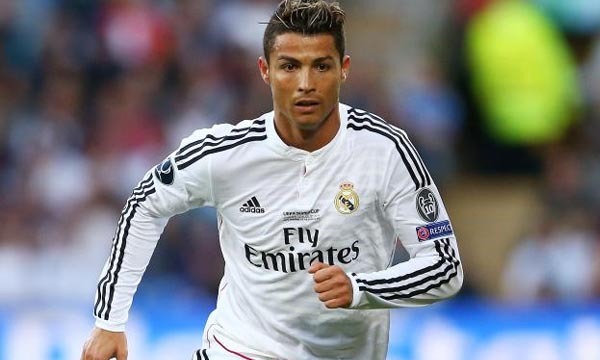 She currently trains under Li Sun in the Jiangsu Wuxi Shanhe Club in Wuxi, China. Her coach is also the mentor of Olympic gold medal winner Zhang Yining. She achieved the top place in the ITTF ranking for the first time in April 2011. Li Xiaoxia is known as an authentic right-handed player who uses shakehand grip. She achieved the gold medal at the Olympic Games in 2012 and became the World Champion in 2013. She also achieved the World Championships in team event twice in 2006 and 2008. Li Xiaoxia achieved the Asian Championships in Mixed Doubles event in 2009. Japanese professional female table tennis player Kasumi Ishikawa was born on 23 February 1993, and is currently the number 4 ranked female player in the world according to the International Table Tennis Federation rankings as of January, 2015. Her entire family including her parents and sister play or used to play table tennis at the competitive level. She is known for using speedy top-spins and loops during her offensive play. Ishikawa currently uses Clipper CR WRB as her blade, FastArc G-1 for her forehand and Tenergy 64 for her backhand. She achieved the All Japan Table Tennis Championships four years in a row in female junior division since 2007. She became the World Tour winner twice in Morocco Open 2010 and in Chile Open 2011. Ishikawa is a part of the silver medal winning team at the 2012 Summer Olympics. Singaporean professional female table tennis player Feng Tianwei was born on 31 August 1986, and is currently number 5 ranked female player in the world according to the International Table Tennis Federation rankings as of January, 2015. She achieved her career high ranking of 4 in June 2014. Tianwei was born in China and later moved to Singapore under the Foreign Sports Talent Scheme in March 2007. She received her Singapore citizenship in January 2008, and represented Singapore for the first time at the2008 Summer Olympics in Beijing. She is known as an authentic right-handed table tennis player who uses shakehand grip. She currently uses Stiga Kevlar blade as her equipment. Tianwei achieved her first singles title at the Polish Open in Warsaw on 30 November 2008. Chinese professional female table tennis player Zhu Yuling was born on 10 January 1995, and is currently the number 6 ranked female player in the world according to the International Table Tennis Federation rankings as of January, 2015. She won the World Junior Table Tennis Championships in girl’s singles event twice in her junior career. 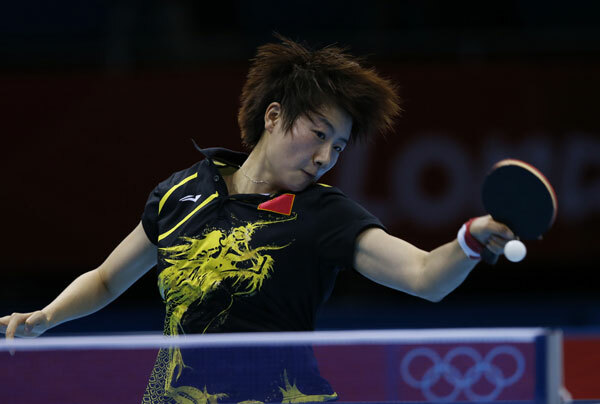 She became the semi-finalist at the 2013 World Table Tennis Championships. 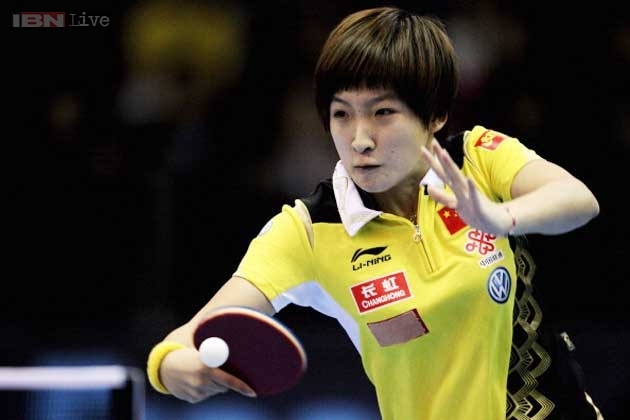 Yuling is a right-handed table tennis player who uses shakehand grip. She achieved the Asian Youth Championship title in both singles and doubles event in 2011. Zhu Yuling won the ITTF Pro Tour in singles event twice till now in Stockholm and Kuwait City in 2014. She also achieved the doubles event at the ITTF Pro Tour in Stockholm. 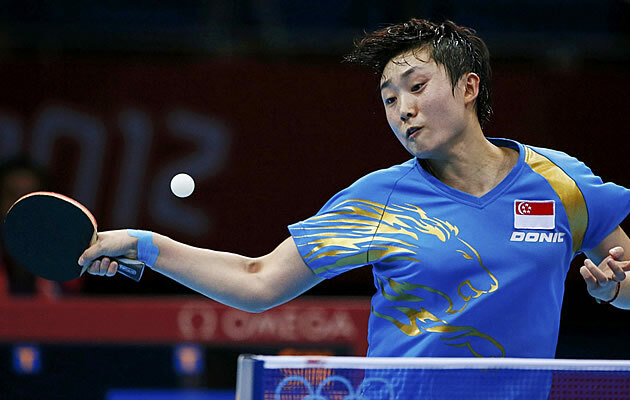 Chinese professional female table tennis player Wu Yang was born on January 5, 1992, and is currently the number 7 ranked female player in the world according to the International Table Tennis Federation rankings as of January, 2015. She achieved the gold medal in Asian Table Tennis Championships in team events in 2009. She achieved the World Junior Table Tennis Championships in singles event in 2009. Wu Yang is known for her unorthodox but consistent chopping style and also for her strong counter-attack. She achieved her career high ranking of World No. 4 in January 2014. She won the ITTF World Tour twice till now in Polish Open and Slovenian Open in 2011. Wu Yang currently plays for Chinese club Datong Jindi under her coach Kong Linghui. Chinese professional female table tennis player Chen Meng was born on 15 January 1994, and is currently the number 8 ranked female player in the world according to the International Table Tennis Federation rankings as of January, 2015. She became the title holder of World Junior Table Tennis Championships in girl’s singles event in 2011. Meng is a right-handed table tennis player who typically uses shakehand grip. She achieved her career high ranking of World No. 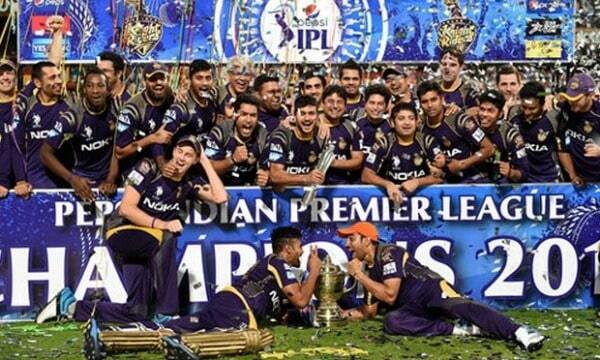 4 in March 2014. She currently plays for Chinese club Shandong Luneng under her coach Liu Zhiqiang. Chen Meng won ITTF World Tour twice till now in Swedish Open and China Open in 2013. She was included in the list of Top Ten Athletes of 2013 by Qingdao’s sports administration in China. 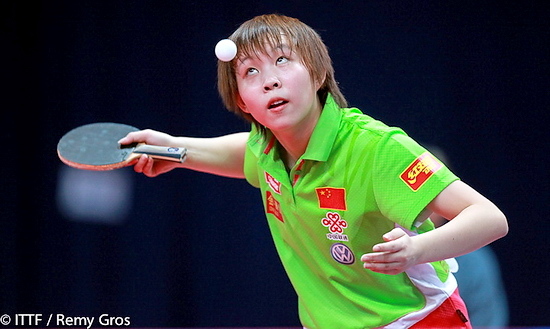 Chinese-born German professional female table tennis player Wu Jiaduo was born on 19 September 1977, and is currently the number 9 ranked female player in the world according to the International Table Tennis Federation rankings as of January, 2015. She began to receive specialised table tennis training at the age of just 7. She relocated to Germany to further her table tennis career in 1998. Wu Jiaduo began to represent Germany at the international championships such as the ITTF Pro Tour in 2005. She currently resides in Düsseldorf, Germany and currently plays for her club FSV Kroppach. Jiaduo is a right-handed table tennis player who typically uses shakehand grip. She achieved the European Championships in 2009 and became the European Top-12 winner in 2012. Japanese professional female table tennis player Ai Fukuhara was born on 1 November 1988 in Sendai, Miyagi, Japan, and is currently the number 10 ranked female player in the world according to the International Table Tennis Federation rankings as of January, 2015. She is currently sponsored by All Nippon Airways. 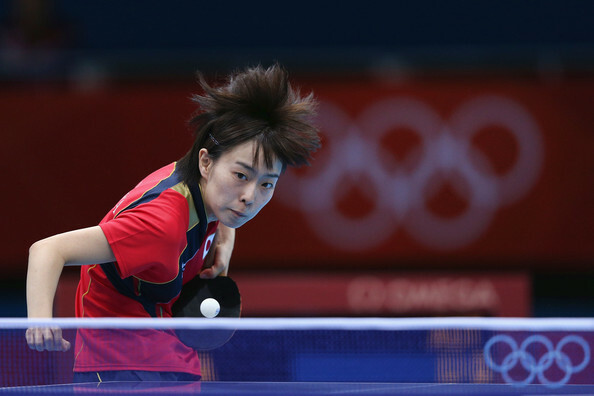 Fukuhara is a right-handed table tennis player who generally uses shakehand grip. She achieved the silver medal at the 2012 Summer Olympics. She started playing table tennis at the age of 3 and became the youngest player ever to become a member of the Japanese national team at the age of just 11. Fukuhara became the youngest Japanese representative ever for the Asian Games in 2002 at the age of just 13. She with her partner Kasumi Ishikawa won the Table Tennis Women’s Doubles championship. The female athletes who have participate in the sport of table tennis are among the finest indoor sport athletes in the world. These female table tennis players from all over the world dominate the world of the sport, and are almost at par with the male players in skill and popularity.